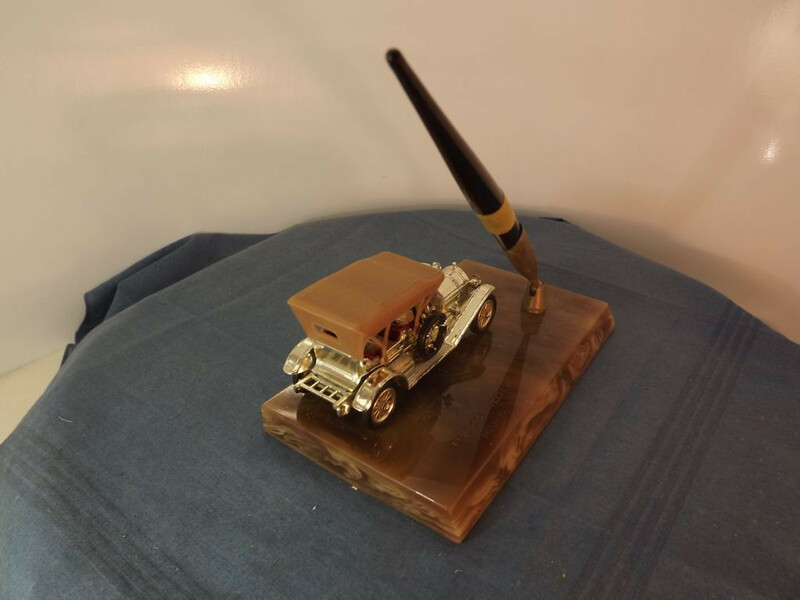 This collectible is the Veteran Car Gifts by Lesney #32-12G - Single Pen Stand with Thomas Flyabout in metal and simulated green onyx. The stand has a slightly moveable pen holder in gold with Black desk pen. 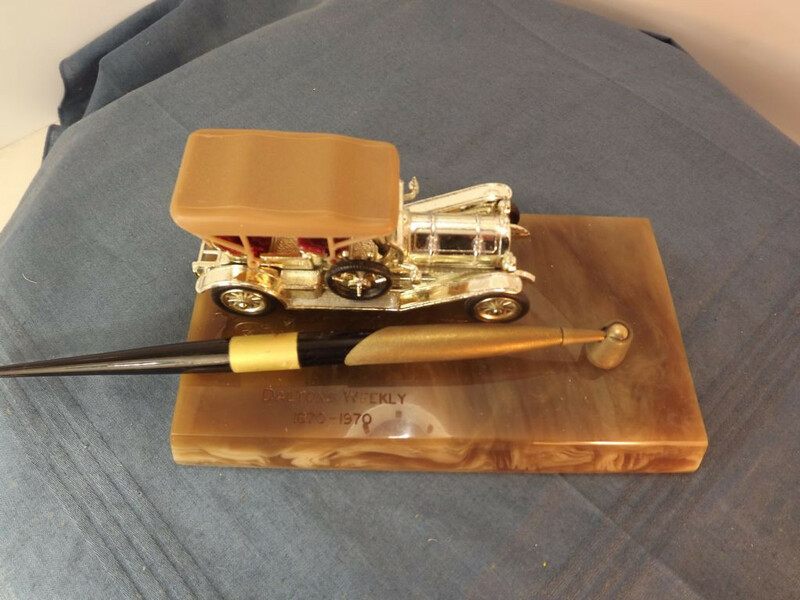 This particular item has had the simulated onyx stand engraved to commemorate the centenary of Daltons Weekly with "Daltons Weekly, 1870 - 1970" on two lines in front of the model. 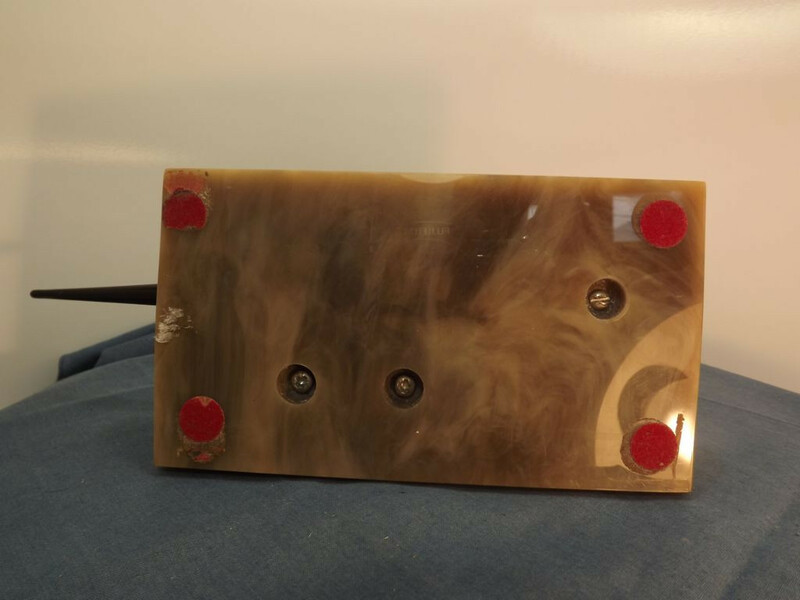 The base is simulated green onyx with a chamfered front edge. 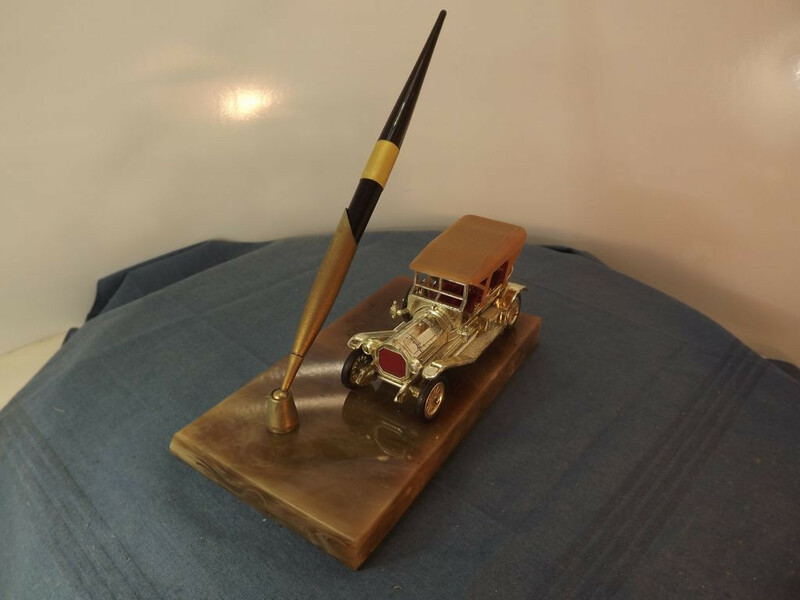 The top of the base features a gold pen holder that rotates slightly and holds a black plastic desk pen. Next to this sits the model of the Thomas Flyabout with gold body and tan roof. The underside of the base has four buttons on it to stop the item scratching the table top. 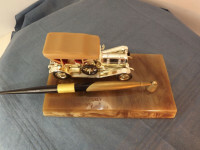 The item comes without the packaging of the time, but was probably packed in a blue cardboard box, marked "Veteran Car Gift by Lesney" with an inner cardboard lining that holds the pen and the pen stand base in place inside the outer packaging. As detailed above this item was specially engraved for the centenary. This item was issued circa 1970.